more inclusive in the United States. In European Countries, and most other places worldwide, foreign languages are considered a necessity. 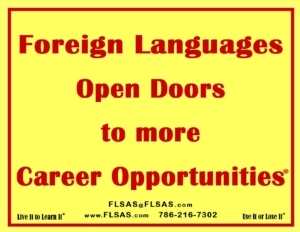 •In the United States, past the minimum required by each state, foreign languages are only studied by those who are “good” in foreign languages. Those who are “not good” in foreign languages are not motivated to go on. •The same thing at the college level. Students who might benefit career wise by learning a foreign language only take foreign languages if they “good” in the language. •And it continues … with adults (executives and professionals). Just like some people do not want to go to the dentist because of the fear of anticipated pain, some adults have a fear of studying languages because they are afraid they will not do well. They are afraid of making mistakes and people laughing at their mistakes. 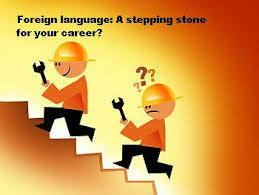 However, knowledge of a foreign language for many careers is a necessity. Forget the apprehension. You have to think of it as a skill. The more you practice it, the better you get. It is like a sport, or music, or cooking, or a craft. It is not about facts that you can learn. 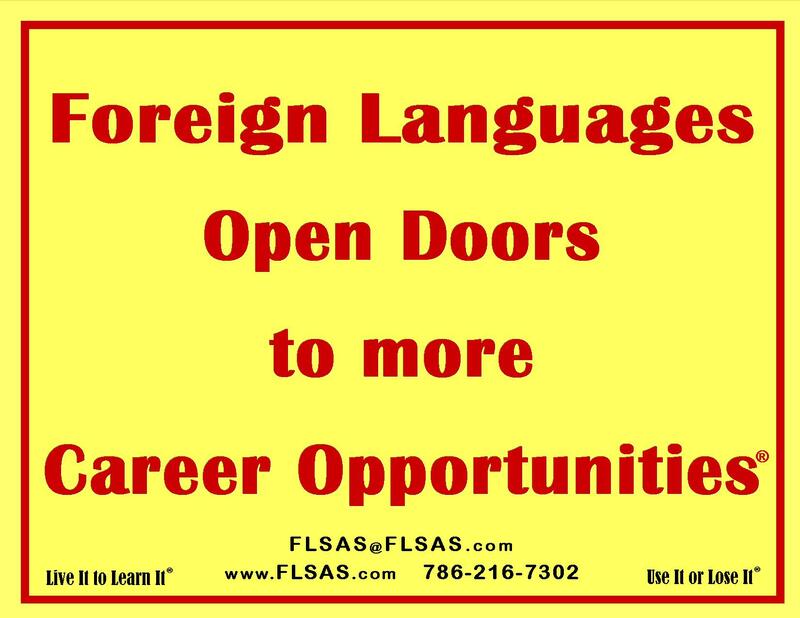 FLSAS encourages ALL students, “good” language students and “not so good” language students to study abroad.